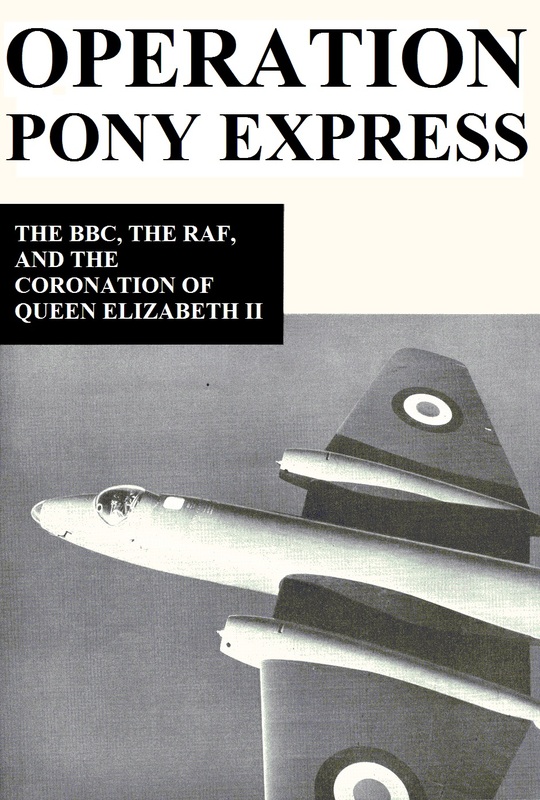 The Coronation of Queen Elizabeth II on 2 June 1953 was to be the most ambitious outside broadcast yet attempted by the BBC's fledgling Television Service, a mere seventeen years after its inception. The coverage was to be converted, boosted, and simulcast across free Europe, but beyond the Continent, other countries would have to wait until recordings of the event were physically transported across the globe. Even with the five hour time difference, commercial aircraft would not be able to get them to Canada in time to be shown on the same day. A chance comment at an unrelated meeting at BBC Broadcasting House, however, offered an unbexpected solution. Only just entering service with the Royal Air Force, the English Electric Canberra medium jet bomber was smashing transatlantic crossing records with breathtaking regularity. The Canberra had the speed, range, and capacity to transport the BBC footage to Canada via Newfoundland in time for it to be shown across North America on the evening of of 2 June, but it would still mean pushing the aircaft to their limit. Operation Pony Express reveals the full unreported story of this little known mission.